This blend assists in calming and clearing the mind and body. The ginger in the tea was chosen to leave a warming stimulating glow to your body with its aromatic properties with the earthy fennel flavours to bring calmness. Rose petals nourish the heart chakra and calm the body with its nervine calming properties. Withania is nourishing and toning on the whole body. Herbal teas are to assist in maintaining health and do not claim to cure any acute or chronic health issues. Check with your health practitioner to work through health issues that require practitioner assistance. 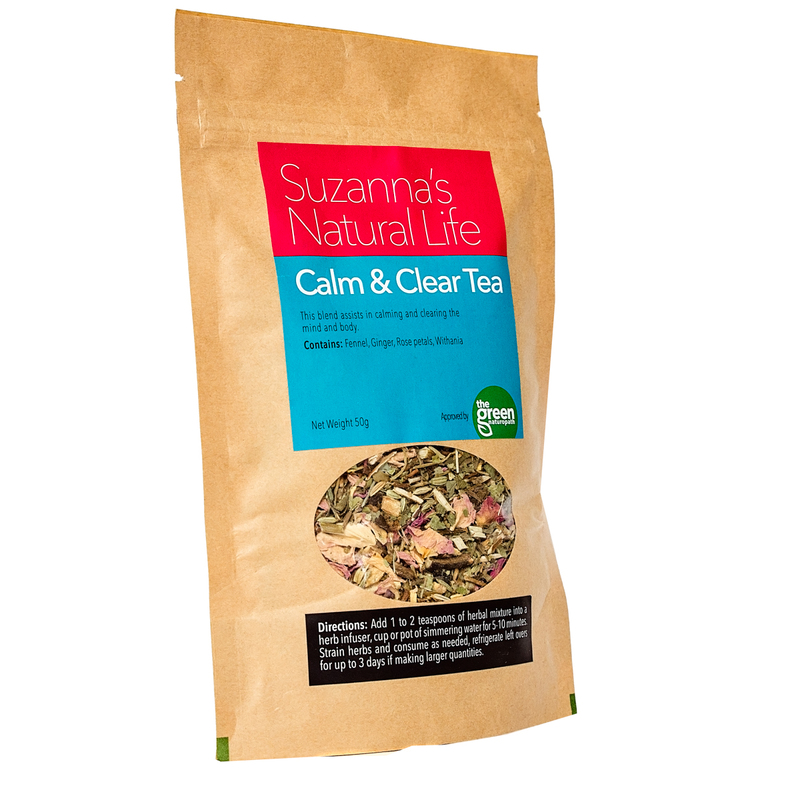 Be sure to check if Suzanna’s Natural Life herbal teas are suitable for you if you are pregnant or trying to fall pregnant, on medication and / or dealing with complex health issues. If you have any unexplained symptoms please check with your Doctor or Specialist. Contact the Green Naturopath for further information.